An event is an experience that can never be replicated. While the person or organization may attempt to recreate the event in the future, there will be differences. 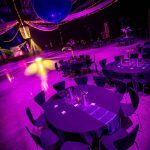 For this reason, it is critical to ensure every detail is perfect the first time and the event is memorable for all the right reasons. With the help of Balloons and Events, achieving this goal becomes much easier. Our event organisers find everything they need to make the occasion spectacular, from event décor to help in planning the perfect day. It all depends on what is needed by the organizer to make certain everything runs smoothly from start to finish. Balloons shouldn’t be reserved for children’s parties, as adults love these decorations as well. They liven up any event and can be customized to ensure they are consistent with a company’s theme or brand. Furthermore, they can be used throughout the event to dress up any personal or corporate event. Consider using the balloons as centerpieces at every table. Balloons are inviting, engaging, and welcoming to all and range from sophisticated and elegant options to ones that are festive and fun. They may be styled to create an archway for individuals to walk through or to pose underneath for pictures of the special day. Furthermore, the arch is a great way to highlight the location of the event so guests can easily find their way to the festivities. Balloon columns function in a similar way. They direct guests to specific areas of the event while adding color and flair wherever they are placed. Balloons shouldn’t be utilized strictly for decorations. The balloons may be painted as part of a friendly competition or used in party games to encourage guests to mingle. Furthermore, guests may group together to create art pieces that can then be used as décor for the remainder of the event. 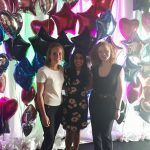 The ideas are truly endless when balloons are shared at any type of event. 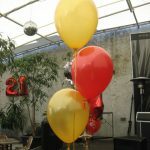 One major benefit of using balloons as décor or for group activities is they come in many different styles. 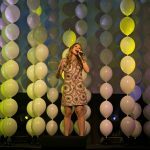 Select fabric- or glitter-covered balloons or opt for shaped helium balloons that complement the theme of the event. Use them as placeholders with each guest’s name on a balloon or simply allow them to float in the air and add to the atmosphere. With so many creative ways to use these items, any event planner will want to incorporate them into the planning in different ways. 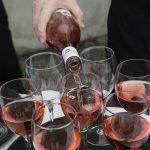 Balloons aren’t the only item needed to host a great event. 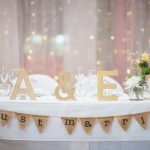 Planners must consider other items required to make the day a success, including signage, table décor, hired centerpieces, red carpet entranceways, fairy light curtains and more. 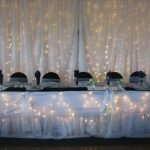 Tables and chairs are required for guest seating, and some event planners may find bean bags or bar stools are a better option. This depends on the guest list and who will be attending. 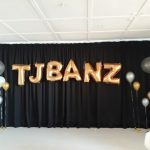 Regardless of what is desired, Balloons and Events provides those items which enhance the venue’s appearance while coordinating with the theme. Food is often a focal point of any event. 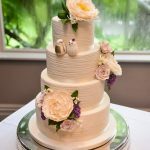 The cutting of a wedding cake or birthday cake is a highlight, and people frequently snack on appetizers as they mingle. It provides their hands with something to do as they meet new people, and a person can always put food in their mouth if they wish to avoid a conversation. 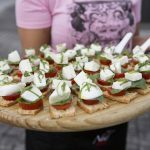 For this reason, the food for an event must complement the other elements of the festivities. 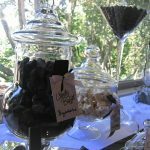 Balloons and Events provides cake and cupcake stands, apothecary candy jars, linens for the tables, vintage china, and more to ensure event planners have everything necessary to make the food as memorable as the other aspects of the event. One thing every event planner needs to ensure is people can find items easily. A variety of signs are offered to commemorate the event, direct guests to the reception or designated parking areas, and more. When guests move easily around an event, they can do and see more, and this will be appreciated by all who attend. Be sure to include fun signs too, such as a sign that provides the recipe for a happy marriage or one that simply says EAT and tells guests where to find the food. 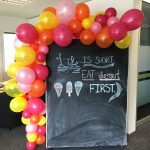 Plan an event with the help of Balloons and Events. 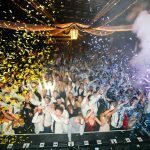 We help individuals and organizations create an experience that will be remembered for a lifetime. For those who don’t wish to take on the task, we offer an event planning and management service. People who love to organize festivities of this type can simply turn to us for the items they need. We are ready to help in any way we can. All customers need to do is simply ask.